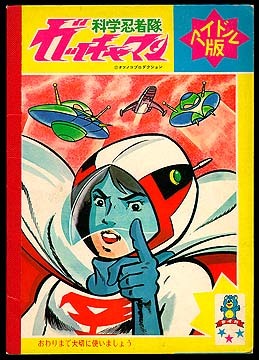 Information: This is a sketchbook from "Gatchaman". It has two black and white images that can be colored and 19 sheets of blank paper. There is a cut-out circle game on the back.